Video of The Decline of Kodak...What Happened? It really wasn't that long ago that Kodak was as ubiquitous in photography as the camera itself, and yet, nowadays, the company is sadly a shell of its former self. This great video examines just what happened to bring the former titan to its knees. 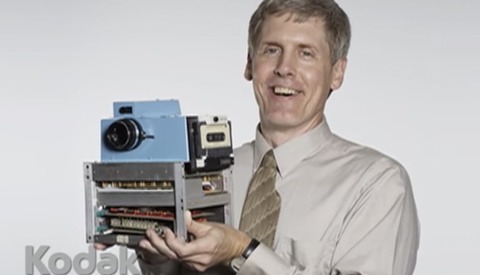 Coming to you from Company Man, this interesting video takes a look at the rise and fall of Kodak. Personally, I think I'm lucky to be just old enough to have grown up in a time when technology wasn't anywhere near as omnipresent as it is today and film still ruled the land, as it has given me a bit of a perspective on the explosion of technological advancement that subsequently occurred, which of course included the rise of digital cameras. I remember growing up the (in hindsight) mind-blowing effectiveness of Kodak's marketing: they convinced people to replace the standard terms like "memory" and "picture" with "Kodak moment." In retrospect, it's especially stunning to see the ghost of the former behemoth now doing things like getting into the bitcoin game, though you can still pick up a roll of Tri-X. Nonetheless, the fall isn't without explanation. Check out the video above for a rundown of where and how things went wrong. I heard stories of Kodak's opinion about Fuji's intrusion into their market. It definitely involved a bit of arrogance, or at least foolhardy self-assurance I'd call it. They definitely thought that their customers would remain loyal, and just because another newcomer had hit the market at a cheaper price, didn't mean they were threatened. I remember in 72 when Fuji's advertising tag line was, "The Japanese see color differently." I guess that wouldn't go over well today. Disruptive technologies "disrupt" sustaining technologies in many markets. Think of CDs for records and MP3s for CDs. Most corporate cultures can't change fast enough to stave off disruption. To my knowledge, IBM pulled it off better than most when they embraced the PC that disrupted the mainframe business. And, they moved away from computers altogether and embraced special services. Most companies fail to anticipate the change and then make the jump soon enough. That is basically it. Kodak was primarily a film and processing company, not a camera company (they sold simple cameras just to sell film). Going digital wasn't just a different way of doing business. They would have had to lay off most of their workers, most of their managers, most of their sales staff. They would have had to close their plants and build new plants. It would have been a completely different business merely with the same name. There may have even been people in Kodak who realized that and just said, "Screw it." Fuji, OTOH, was always significantly a camera company (at least when they entered the US market). I began using Fujichrome in 1972, and contemplated buying a Fujica SLR just before the Canon F1 came out. Basically, a team of outside tech minds were brought in to help Kodak "get creative" with ideas for things to do with digital camera technology. The example they came up with was this: using a digital camera, you could capture an image and print it immediately, and you could do it on any surface you wished by way of digital printing. The specific example was printing an image on a mug, but the potential was of course much broader, and the important thing was the immediacy of the whole process. If successful, Kodak could have stayed a champion of the photography world, had they dove into digital printing, digital print paper, ink, etc. at such an early stage. As you mentioned, Kodak was certainly pioneering the digital realm, in fact they own(ed) loads of patents on digital technology. They could have embraced these ideas fully, and maybe today although we might not have Kodak cell phones we might have Kodak sensors in those phones, and have bluetooth pocket inkjet printers for our phones so we can make InstaX style prints. Heck, digital projectors and digital displays could have easily become a Kodak thing, if they had been able to transition their renown for "amazing colors" on film, to stunning colors on a 4K display or 100" home theater projector... But alas. While this analysis is simple, it misses out on a few key data points. The bottom line is Kodak failed because of "bad management" choices. Some of it was related to Kodak's slow adaption to new technology, but this was in spite of their staff developing leading edge tech. The new margins just weren't as fat as film. In the early 1990's, Kodak virtually stopped promoting their most popular product, Kodachrome — in favor of an inferior product — Ektachrome. Some say it was done to save costs. Fuji moved in with Velvia, and Kodak never recovered. Also, losing a billion dollars in a court decision which favored Polaroid, they ceased sales of all 'instant photography product' and the easy money they had hoped to make from that niche. Furthermore, with digital scanning on the rise, and film and print sales in decline, management looked toward investing in other niches with traditionally fat profit margins. This lead to the outright purchase of 'Sterling Drugs'. With no management or marketing experience in this new investment, it was catastrophic and they had to sell at a great loss. 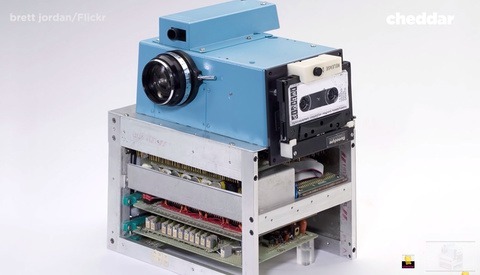 Kodak had patents, they had tech, but they had to work much harder and smarter with slimmer margins and higher risks. Management was at best tepid to that idea, and so, a parade of CEO's filled the top chair until at last — their doom was sealed. Sorry, Kodachrome was niche product. It was hardly their most popular product; it had high name recognition, because of Paul Simon, etc., but it was a difficult, expensive film to shoot, and expensive to process. There's a reason why only a handful of labs worldwide could process Kodachrome; the process required expensive equipment using highly toxic chemicals. By the early 1990s, color-negative film dominated the market by a long shot. My recollection was that Kodachrome was the standard for 35mm editorial color work (fashion, travel and news magazines) in the 1960s and 1970s. The color saturation (reds and greens) was stronger than Extachrome or any of the color negative films used by the consumer. The grain structure, particularly when using Kodachrome 25 or Kodachrome 40 Type-A film was second only to maybe Ilford Pan F B&W film. The reason why only a few labs processed Kodachrome was due to Kodak licensing and approval requirements. Yes, it was highly toxic (most color processing before the films introduced in the 1980's were highly toxic), but the tolerances were also unforgiving. Ektachrome could be processed at home, if you could maintain the tolerances. So could negative films. But, who would really want to deal with the mess. I never bothered with developing color film at home. Printing color was tough enough. B&W was much easier for photographers to deal with. This is true. Kodak, however, made the vast majority of its sales and profits in the consumer market. Without the size and the distribution of the consumer market, there would be no Kodachrome or any pro film. In the late 1990's, the Nikon F5 was Nikon's halo product. The F5 halo sold more F100's and exponentially more consumer quality Nikon branded cameras. In the editorial world, including National Geographic, Kodachrome was the standard by which all other products were judged. It gave Kodak the 'brand appeal' it needed to sell exponentially more color negative film. HTH. If this was the case, Kodak would have devoted some part of its massive consumer marketing budget to Kodachrome, then, right? Didn't happen. "The bottom line is Kodak failed because of 'bad management' choices." 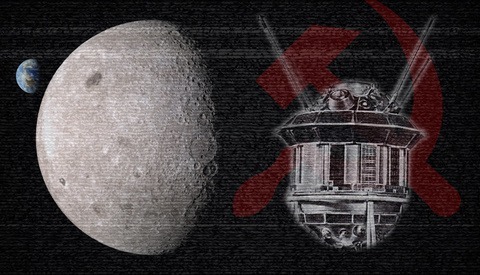 The reason for their demise was due to one main reason, a lack of vision. They saw themselves as a film company rather than an image company, and thus they missed the digital revolution until it was too late. This is a nice, yet superficially researched video. For one thing, the whole bit about "Kodak Moments" was mistaken. Kodak didn't adopt the phrase "Kodak Moment" until long after the decline was in progress. Kodak Moment was a phrase adopted by the general public, but not formally adopted by the company until after 2000. This video was very superficial, in the sense it overlooked the real core problem. Kodak management insisted it was a photography company, when in reality, it was a chemical company. Kodak was expert in chemical coating and technology, which just happened to be used in photography. They just ran out of things to coat. On the other, Fujifilm has survived and thrived by adapting their chemical prowess to other markets, like cosmetics and graphics arts, which allows them to maintain their photography business. The demise of all companies is a result of bad management with no or a bad long term vision. If we look at the camera market, there were dozens of brands noboby under 60 has heard off. Markets change, often due to changing technology and sometimes managers fail to see which direction the market is heading. They will be remembered by the aridity of their CEO's and all the ones that made strategic marketing decisions. It wasn't time to go, they had everything in their hands to keep up with today's digital world and they simply were too stupid to see it. No visionaries in the company since their founders although I know for fact there were lost of talented people working for them. My father had a career at Kodak and rose to a position where he reported directly to the CEO for the last seven years of his tenure there. They just held onto their position that digital couldn't outresolve film and as such people should stick with film where conveniently enough all of Kodak's profits were. Of course even Kodak admitted in 2004 or 2005 that digital officially outresolved film because it didn't lose sharpness with the multiple emulsion layers inherent in film technology. It breaks my heart to think that Kodak went from a badge of professionalism to an abandoned also-ran in the industry when clearly other manufacturers learned how to make a lot of money from digital photography.